“The Laplace Demon” is the result of a large number of workmanships. The following have played a key role in the visual and audio impact of the film, to create an atmosphere that is as compelling as possible. 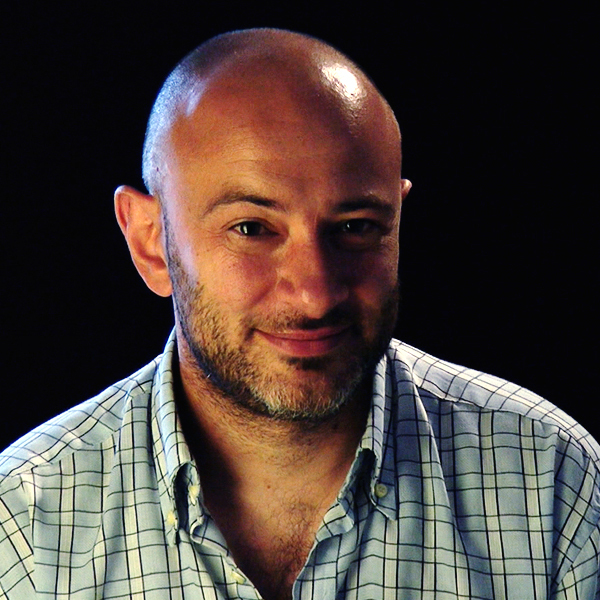 Ferdinando D’Urbano is the photography director. Inspired by the great masters of the noir cinema and influenced by his own passion for avant-garde painting and Expressionist cinema, he works on the film’s photography with great enthusiasm and adaptability.During the film’s realization, indeed, having no great professional tools, he works by using very common materials with intuition and invention to achieve the desired result, demonstrating how much can be achieved even with cardboards and adhesive tapes.The role of director of photography in “The Laplace’s Demon ” is his first work in a feature film, an experience that forms part of a long and rich professional and personal growth path. 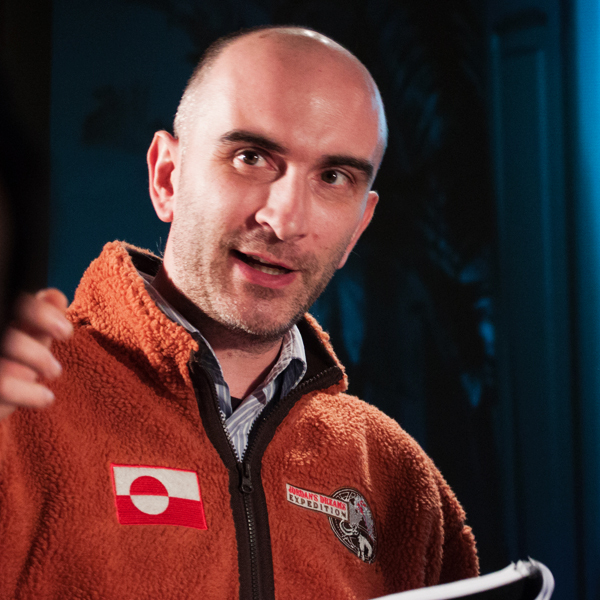 Duccio Giulivi is the author of the music of the film as well as actor and screenwriter. “The Laplace’s Demon” is his second feature film. Always present in his brother Giordano’s works, over the years he has discovered a great passion for music in cinema. The first feature film as a composer is “Apollo 54” in which he has used electronic sound. In “The Laplace’s Demon” he first engaged in the use of orchestral sounds, inspired by American classical cinema. The music has been composed on edited sequences and often the editing has been adapted to music themes. He works as an editor for the Italian television network. 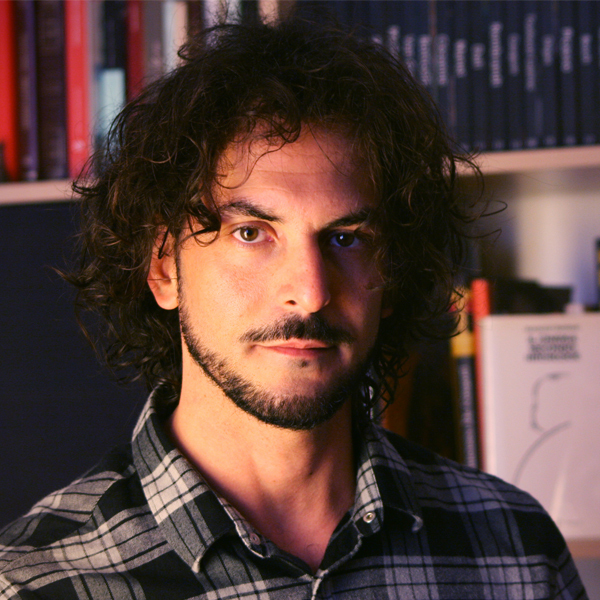 Giordano Giulivi, in addition to the director, has handled almost all the graphic aspects of the film. 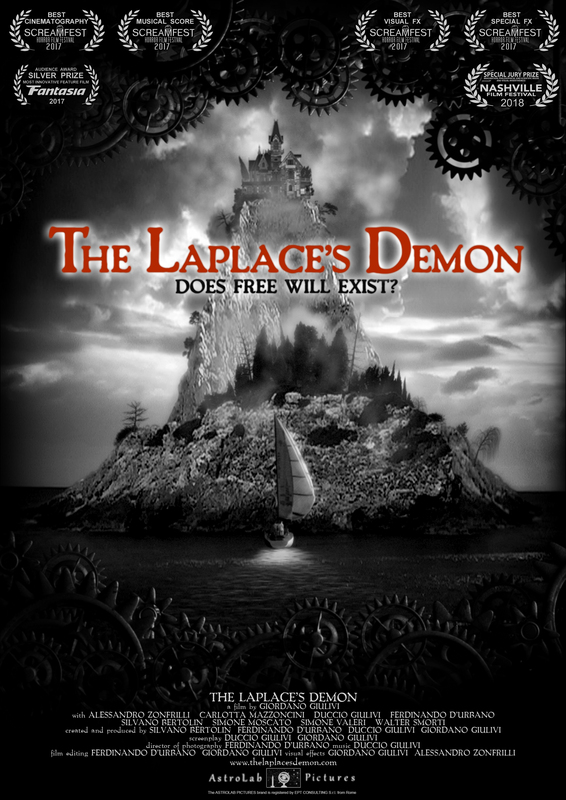 “The Laplace’s Demon” is a film full of digital manipulation, fundamentally to create “other times” scenery that were not available: a sailboat in the middle of the sea, a deserted island, a dilapidated elevator in a cave, a bizarre abandoned mansion. All film settings are the result of complex computer graphics processing (for interiors) and video compositions (for exteriors). None of them really exist. Each scenery was created to produce “backdrops” to rear projected behind the actors and thus give the illusion that the characters were really in those places. Much of the graphic work was done before starting the shooting. In postproduction, however, CGI was indispensable to create all the missing shots, that’s the ones without the actors: in particular to show the model of the mansion, the pawns that move on it and the cogs that animate them. Graphic works in the film do a discreet job, if not even hidden: they are not designed to produce spectacular and astonishing effects. Instead, they are necessary to immerse the whole story in a very special atmosphere.